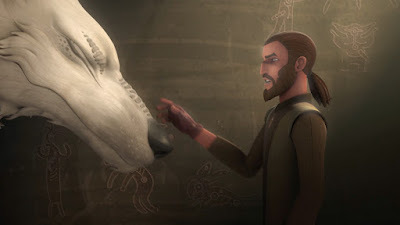 By now, most Star Wars Rebels fans have heard of Dave Filoni's little t-shirt stunt at Star Wars Celebration in April which appeared to confirm that, yes, Ahsoka Tano will return in season four of Star Wars Rebels. If you haven't heard about it, what happened was Filoni, the creator and executive producer of Rebels, appeared on the Star Wars Rebels season four preview panel wearing a t-shirt that read "Ahsoka Lives?" Towards the end of the panel, the lights dimmed and when they came back on Filoni's shirt had been changed to "Ahsoka Lives!" Since this stunt, there has been much speculation about how Ahsoka could return. She was last seen descending in the Sith temple on Malachor after somehow surviving her duel with Darth Vader in the season two finale. 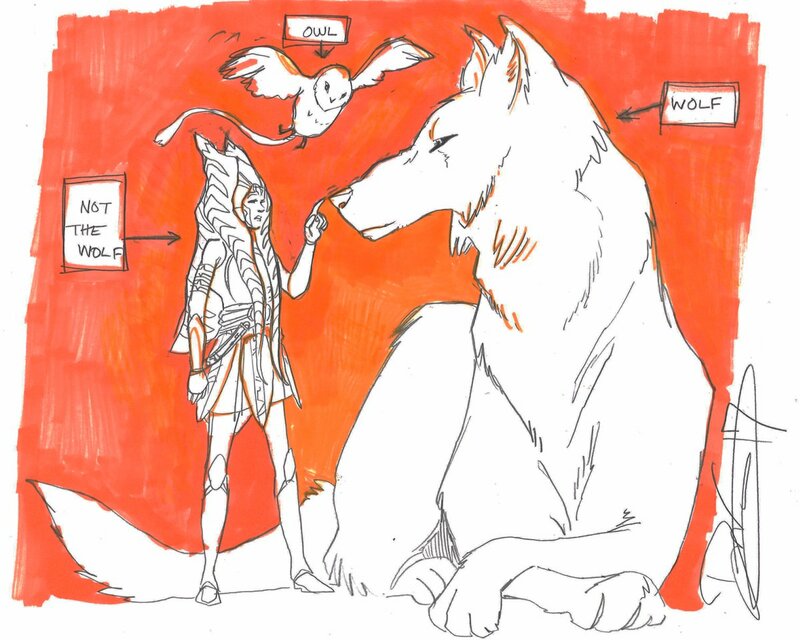 This led to speculation that when she returned she would appear in some sort form other than her body. 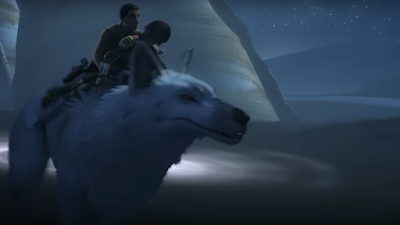 Some took this even further, suggesting that the white wolf that Ezra and Sabine are seen riding in the season four trailer.